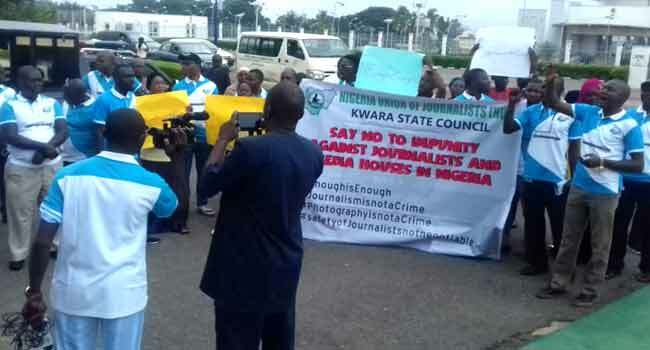 Members of the Nigerian Union of Journalists (NUJ) have protested against the harassment of journalists in the country. 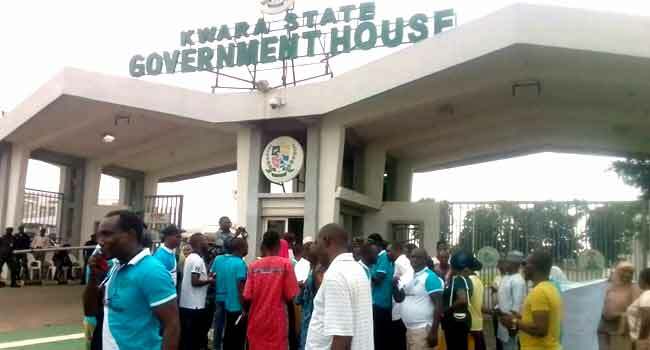 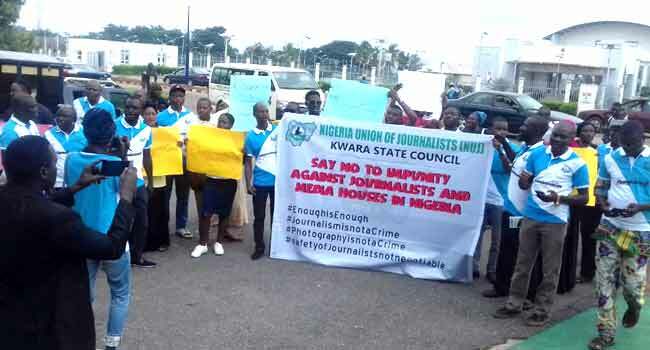 The NUJ chapter in Kwara State held a peaceful rally in Ilorin, the state capital on Thursday to condemn the development. 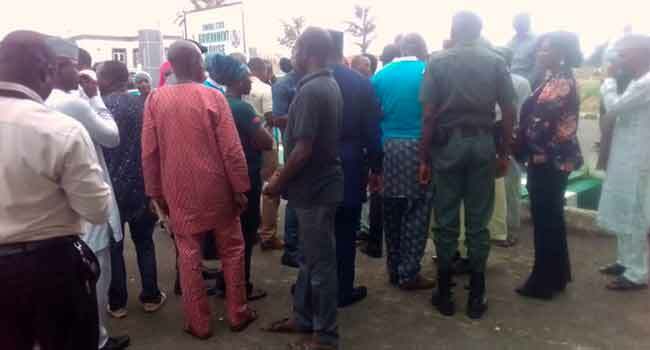 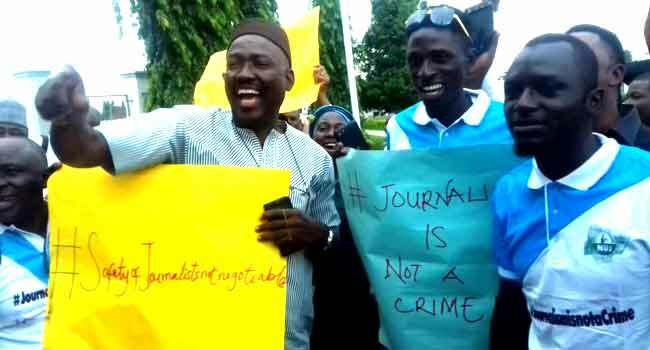 Chanting various songs during the protest, the journalists led by the State NUJ Chairman, Umar Abdulwahab, condemned the alleged harassment of their colleagues by security operatives while carrying out their lawful duties. 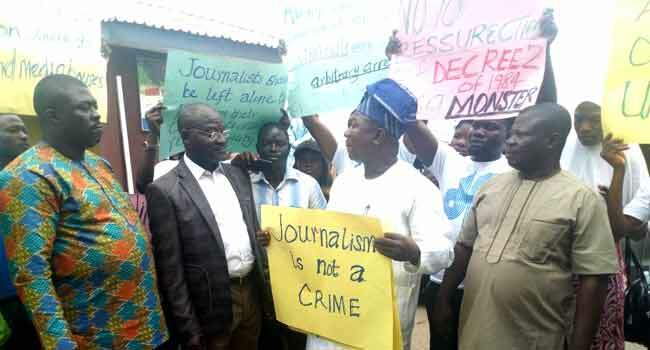 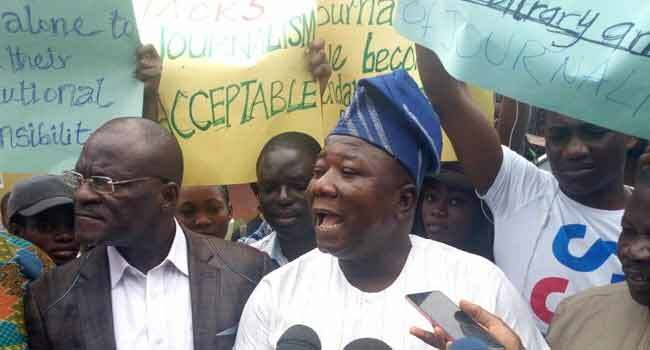 The journalists started the protest started at the NUJ Headquarters in Ilorin and proceeded from there to the Government House where they submitted a letter for onward transmission to President Muhammadu Buhari. 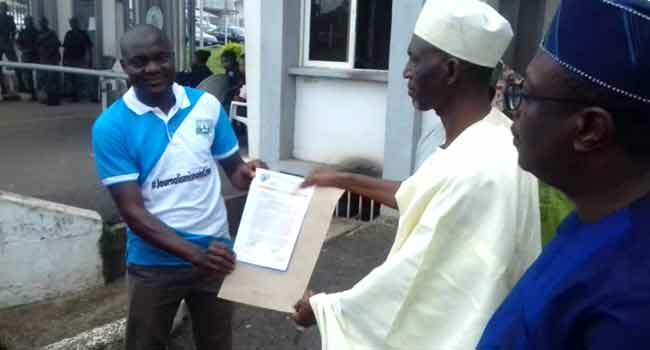 They were received at the Government House by the Commissioner for Information, Muhammad Shabi, who represented Governor Abdulfatah Ahmed. 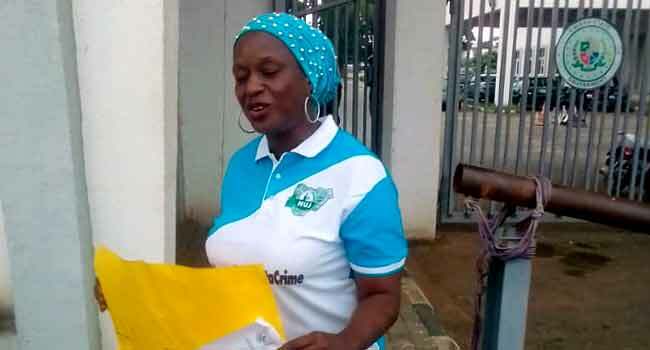 Mr Sbabi promised to pass the message across to the appropriate quarters. 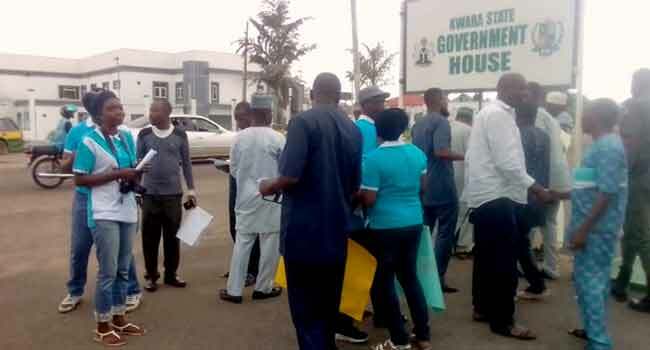 In the South-West, the members of the Ogun State chapter of NUJ held a similar protest in Abeokuta, the state capital. 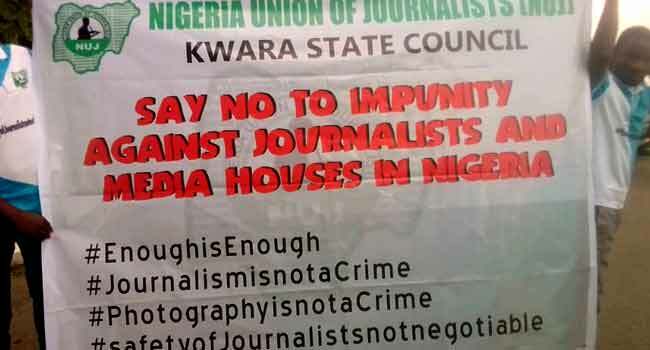 Giving his address at the Iweirohin House, the State NUJ Chairman, Mr Wole Sokunbi asked government authorities to respect the rule of law and the fundamental rights of men of the profession.